Read Simon West’s review of Euclid’s dog: 100 algorithmic poems, in The Weekend Australian, January 2018. Read Thriveni C Mysore’s review of Euclid’s dog: 100 algorithmic poems, in Plumwood Mountain, An Australian Journal of Ecopoetry and Ecopoetics, October 2017. 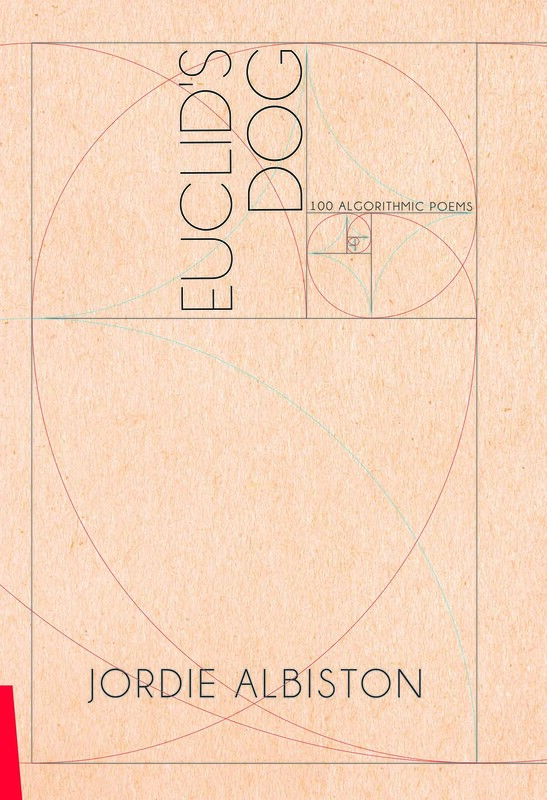 Congratulations to Jordie Albiston, on Euclid’s Dog: 100 algorithmic poems being shortlisted for the State Library of Queensland Poetry Collection – Judith Wright Calanthe Award. The winners of each category will be announced at the Award Ceremony on Wednesday 4 October 2017 at State Library of Queensland. Beginning with the idea of poetry as one code among many, this collection explores the notion of applying patterns derived from mathematics to the conception and creation of poems. There is a peculiar sort of energy that emanates from an active confluence between two codes: a beat frequency, a moiré. It is at once a kind of friction, and a marriage. The eight forms Albiston has developed for this book are generous to her aims because they are stable, just, and have as their unifying principle order. They work as worthy vehicles for what the poet wants to say, with shoulders broad enough to bear the intricacies and depth of her precise interior world. As well, they operate as commentaries on the fragility of existence, the sense of chaos, and the broader discordant realities of the ‘post-truth’ human condition. This is not a book of high mathematics: rather, an attempt to migrate some of the innate robustness, clarity and elegance of Euclidean thought into the realm of poetic structure. Albiston’s formal experiments do not operate as mere theory, dry equations or games, but authentic poetic events, at once harmoniously familiar, and strange.